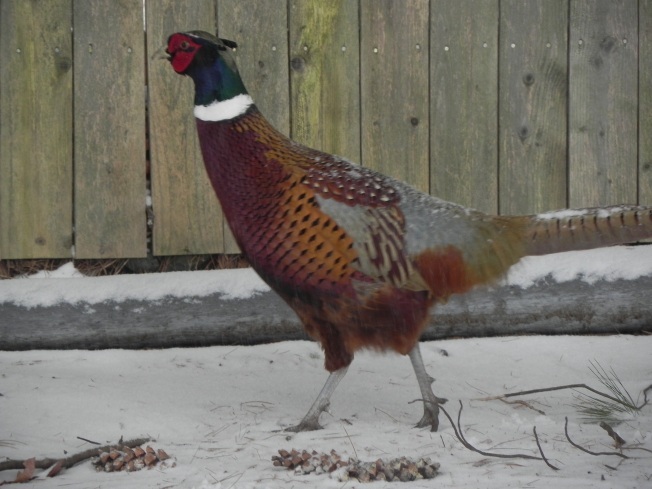 A New Hampshire man was shot in the head while pheasant hunting on Friday morning. According to New Hampshire Fish and Game, the incident happened around 9:45 a.m. when 48-year-old Christopher A. Moulton of Boscawen was struck in the head by a single shotgun pellet while hunting through pheasant cover at the Sanbornton Flood Control Area off Shaw Hill Road in Sanbornton. Moulton reported the incident to Fish and Game personnel who were stocking pheasants in the area. Fish and Game Law Enforcement was notified, and conservation officers responded to the scene along with Sanbornton Police. Moulton was treated for his injuries by Sanbornton Fire and Rescue but did not require hospitalization. Fish and Game officers spent most of the day investigating and interviewing witnesses. The investigation is ongoing and no arrests have been made. "This is an unfortunate incident, and the victim is lucky to not have been more seriously injured," Fish and Game Lt. Michael Eastman said. "Hunting-related incidents are relatively uncommon, and most hunters are extra diligent to make sure of their target and beyond. When common sense and caution are neglected, however, people can get hurt." As a result of Friday's shooting, Fish and Game issued an emergency measure on Friday stating that no one shall discharge a firearm at a pheasant stocking site in New Hampshire from 7 a.m. to noon on Oct. 22 and 23, the final two days of pheasant stocking for 2015.